English Bulldogs have distinct medium sized and compact bodies. These breeds have large heads and bodies with foreheads filled with wrinkles. Their muzzles are wide and short resembling that of pugs with tails that are either straight or bent low. English Bulldogs may have coats, ranging in colors ranging from white, fawn, red, yellow, piebald or a combination of these shades. English Bulldogs are known to be people pleasers and are incredibly fond of human attention. The gentle and sweet Bulldog breed is predictable, making it a popular family pet. English Bulldogs were originally bred for a brutal sport called bull baiting and thus the breed has retained its courage, making them fine watchdogs. While English Bulldogs are loving and devoted towards their family members, they might behave aggressively towards strangers and intruders. Olde English Bulldogs are incredibly responsive to commands and are eager to please their owners and family members. These dogs might seem tough on the outside but are generally gentle and sweet dogs. These muscular dog breeds have an athletic and nimble build with a powerful and bulky head. Like other Bulldog breeds, Olde English Bulldogs are short with stocky legs. They have coarse white coats that come with patches in a variety of colors ranging from fawn, black, red, and grey. Olde English Bulldogs, unlike other Bulldog breeds have an impressive strength and stamina. However, this does mean the breed is your ideal companion for hiking trips. Olde English Bulldogs are known for their friendly demeanor and will respond kindly to strangers. The gentle dog gets along great with children and enjoys playtime in the backyard. Compared to other Bulldog breeds, the Olde English Bulldog may appear a little needy and demanding as they are incredibly fond of company. American Bulldogs have sturdy and muscular bodies and are known for their athletic build. The dog may weigh anywhere from 60 to 120 pounds depending on their health and diet. American Bulldogs have cropped ears with strong jaws and a large head. The dog breed has a short coat that comes in a variety of colors, ranging from solid black, fawn, red, brown and all shades of brindle. American Bulldogs have a tendency to drool. However, this characteristic is more prevalent in the Bully type. American Bulldogs are typically confident and incredibly fun dogs. Over time, they grow attached to their owners and get along well with children. The courageous dog has powerful instincts and is not kind to strangers and intruders. American Bulldogs are known for their protective nature and for their acts of heroism. Unlike other Bulldogs, American Bulldogs are prone to get bored easily and look forward to training sessions. French Bulldogs are a bit smaller as compared to other Bulldog breeds. These free-spirited animals are known for their stubbornness and laid-back personalities. These dogs are active with a muscular build and compact bodies. Like other Bulldog breeds, their coats can be found in a variety of different colors ranging from tan, white, and fawn. These domestic dogs are not fussy and genuinely do well in apartments or small dwellings. These wonderful companions have a sweet nature and are protective of their loved ones. Pet owners may be glad to know this breed does not require a lot of exercise, though they need to be taken out for regular walks. French Bulldogs have a low tolerance to heat and humidity so monitor your dog’s activity, especially on a hot day. 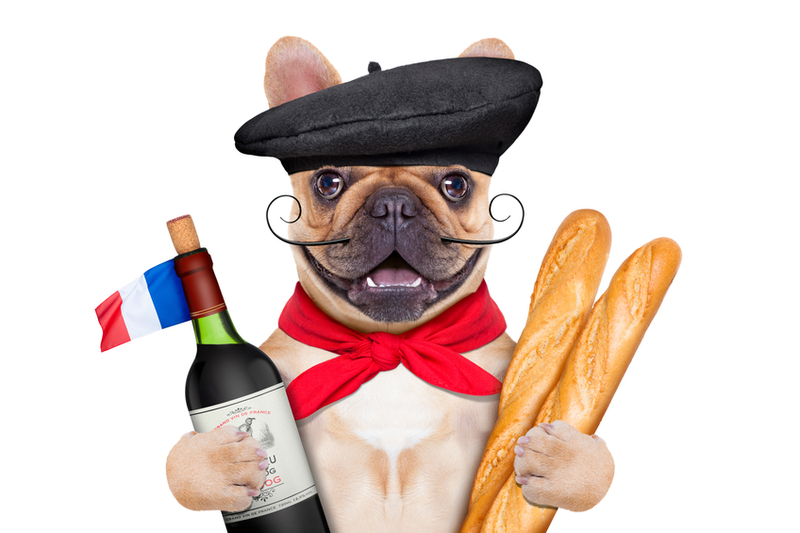 French Bulldogs are affectionate animals are generally quiet and do not bark frequently, which means they will not disturb the peace at your home.